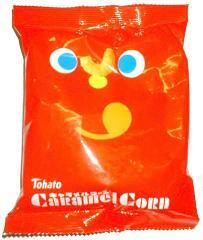 Dave and Kanari gave us these weird Japanese crisps to try. 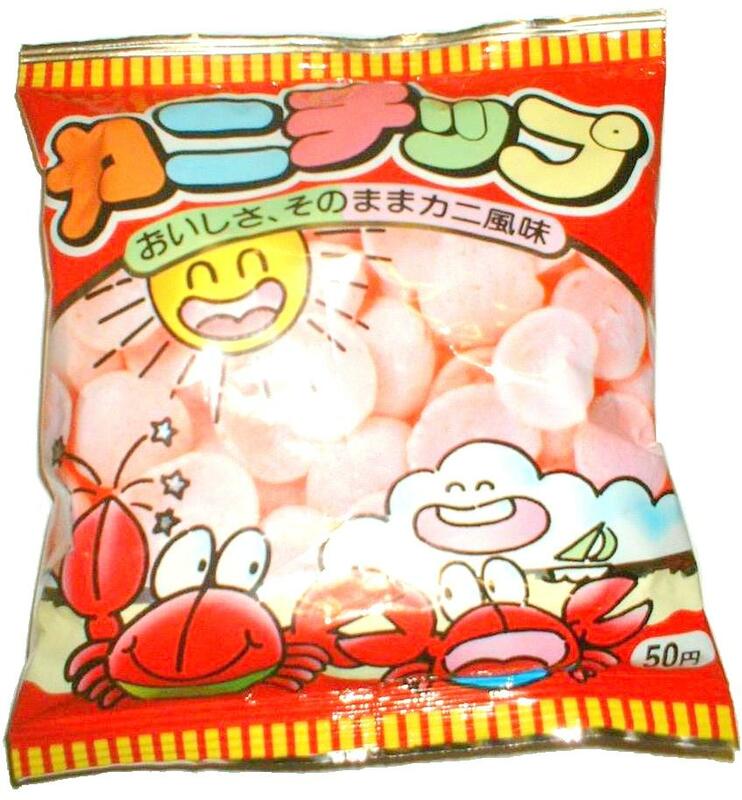 I don’t think they class as weird if you are actually in Japan but here, they are unusual. 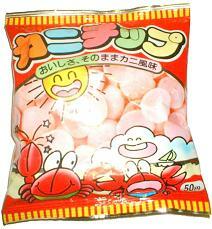 These ones seem to be crab-flavour, although I can’t understand any of the text on the packet. 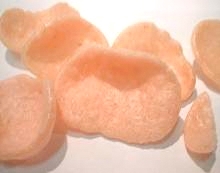 When I tried them, they were something like a corn-based prawn cracker. The crisps weren’t actually as brightly coloured as they are on the packet. These ones are easier understand what the contents are. According to Meeka, these are modern classics and I can see why. When I tried them, I as expecting a caramel flavour with a corny undertone, but I didn’t expect to get pop-corn flavoured crisps. 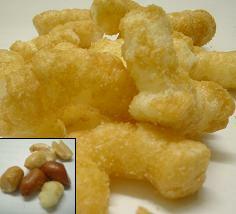 Another surprise was the small collection of peanuts I found in the bottom of the packet. The company that makes these crisps (Tohato) appear to be responsible for these monsters too… A quick search on Google also showed up a great resource for potato-based snack fans everywhere (well the USA) called taquitos.net with examples such as this and this.